C Spire advance cable communication application-based IPTV service to launch in the coming week. C Spire said an application-based IPTV service not based on traditional decoders is currently in beta testing and will be commercially released in the "coming weeks" with an advance cable communication service. C Spire underlined in a FAQ that the new offer, called C Spire TV, is not an over-the-top video service that travels the Internet, but is a managed IPTV service that will be available to households that have access to spire broadband of 1-Gig FTTP broadband service in Mississippi. 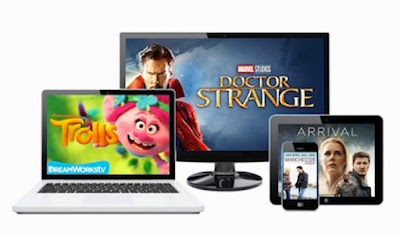 The new service will support several platforms, including Amazon Fire TV boxes and sticks, Apple TV devices (fourth generation), Android TV devices, Roku players and integrated Roku TVs, iOS and Android mobile devices and web browsers. The new service will start at $65 per month for a "Standard Pack" of channels (all in HD format), with additional packages and services, including premium networks and expanded sports channels, available for $10 and $20 more. C Spire TV will also support a DVR service in the cloud, TV Everywhere applications for off-the-shelf viewing of Live and VOD rates, and a Replay TV offering that allows viewers to view certain programs that were broadcast in the later 72 hours. Among other bells and whistles, the service will include "skills" for Amazon Echo voice assistant, and your guide will use auto-learning technology to customise the experience. The new C Spire home service, which includes local television and national cable networks, comes from a partnership with MobiTV, which provides and integrates components such as content management system, digital rights management, media players, DVR In the cloud, content policy, billing and authentication. C Spire joins MobiTV in the next generation TV service. C Spire's new offering will be successful with a legacy pay-TV service called Super HD TV, which has TVE support, an interactive guide and an entire DVR that was developed in collaboration with Innovative Systems. MobiTV recently launched a new $21 million round of funding to accelerate and expand MobiTV Connect, a new IP-based, application-based platform that enables MVPD partners to deliver services across a broad range of smartphones, tablets and devices. Connected to TV. Avoiding the need to use traditional decoders. MobiTV is focusing on that market as cable operators and other MVPDs move forward with IP video migration plans. MobiTV's competition includes Evolution Digital and Comcast, which has embarked on a licensing strategy that has resulted in agreements with Rogers Communications, Cox Communications and Shaw Communications. Layer3 TV, Colorado's next-generation cable operators, has been offering its own IPTV service in select markets and has shown interest in partnering with municipal providers that lack a pay-TV service in their service packages.